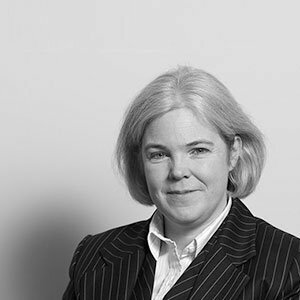 Sara has been a barrister for nearly 30 years and is a senior member of Hardwicke’s Property Team. As well as her property mediation and advocacy work, Sara is regularly called upon to write articles, to provide seminars and webinars, and to speak at conferences on various areas of property law. She is also a contributing author to Cousins: Law of Mortgages. At the heart of Sara’s practice is property litigation, and she brings that knowledge and experience into her work as a specialist property mediator. She has considerable expertise in disputes over real property such as boundaries, easements and adverse possession, co-ownership, mortgages, trusts of land and the impact of insolvency on property rights, as well as conveyancing disputes including issues as to specific performance, rescission or registration, rectification and, especially in the property-development context, cases about planning, covenants, regulated user, options or overage provisions. Sara has considerable experience and an impressive rate of success as a mediator in property disputes covering the areas mentioned above. Her continued parallel work as a barrister also helps her to retain a real connection with the property sector and an understanding of the needs and interests of the parties who seek assistance from her as a mediator. Sara’s time away from work is divided between a range of musical activities, running around muddy fields across the UK and beyond umpiring women’s lacrosse, enjoying life in the countryside and waiting for hope to triumph over despair as a fan of West Ham United.